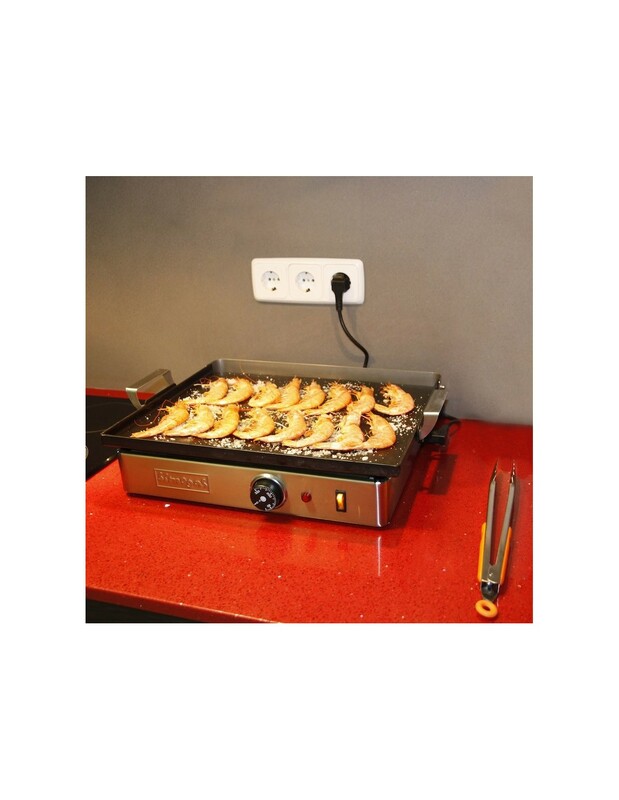 Enjoy a sunny day at your terrace or balcon with the plancha Dream45 (45x41 cm). The DP45 is a plancha for the inside use.This plancha supersedes the electric plancha Terrassa. It is small and light, but powerful like the big ones. It has a professional quality and design. It includes a liquid container located at the back and shielded electric elements. It is also equipped with a electronic piezo igniter. Enjoy the professional cuisine at home!